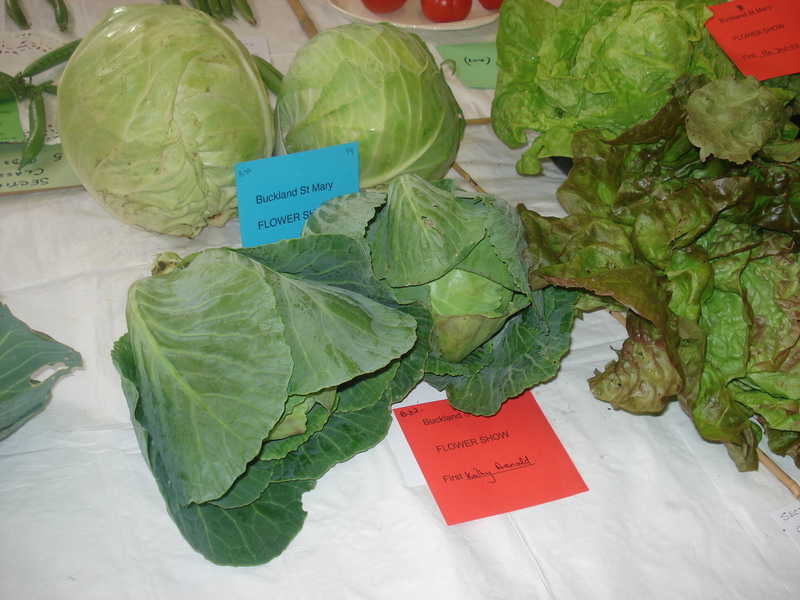 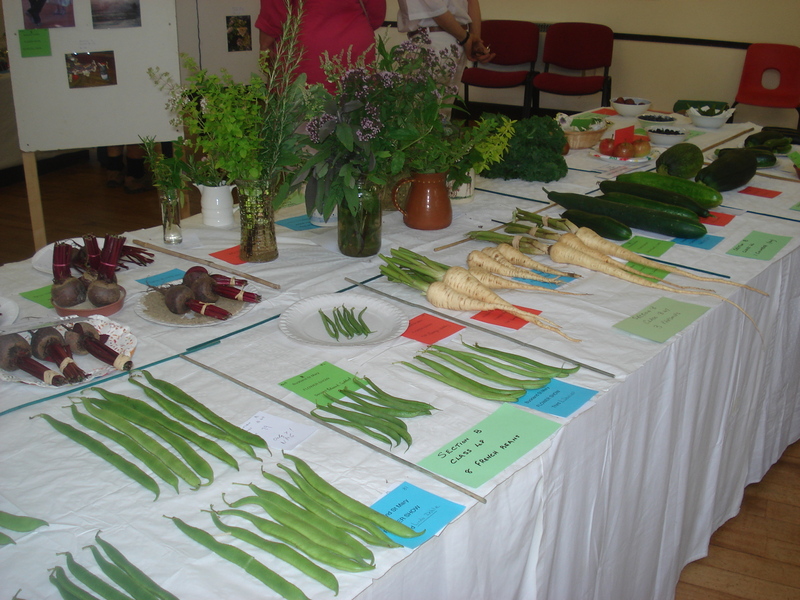 One of the highlights of the village calender is the annual Flower Show which took place in the village hall today. 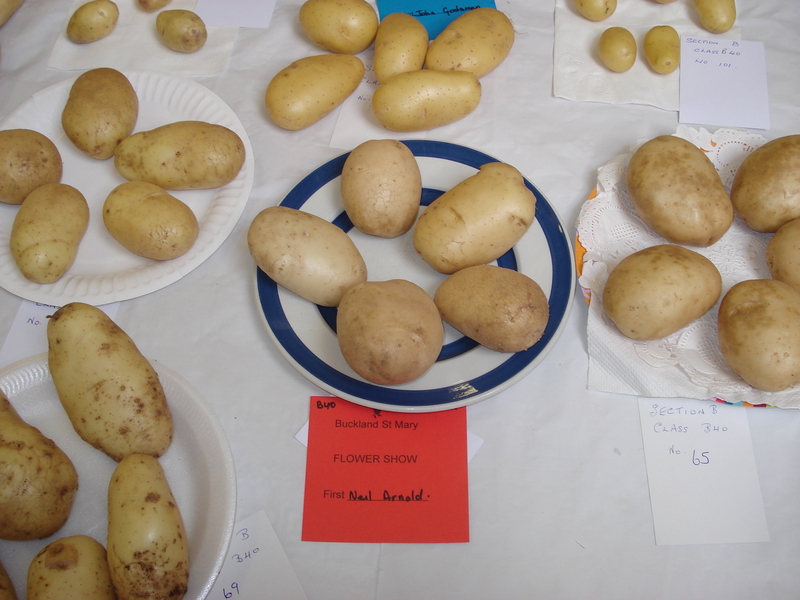 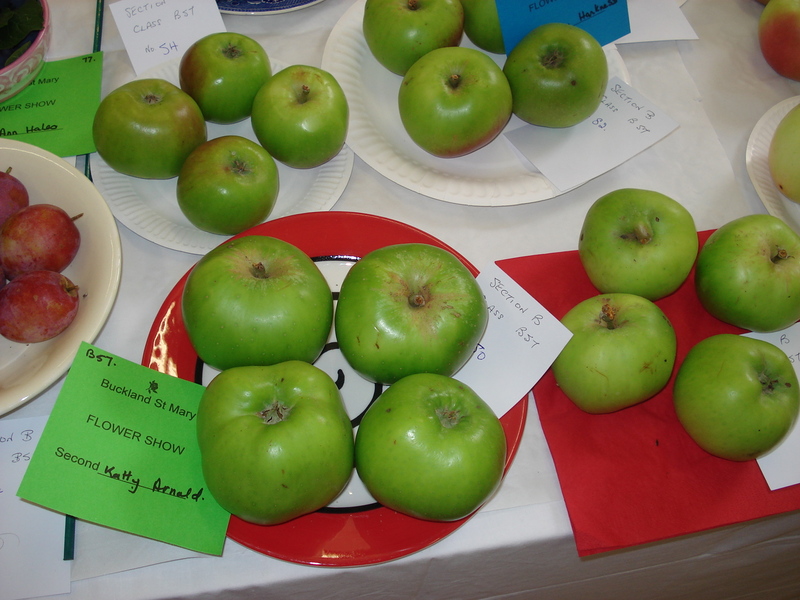 It is very competitive, with entries from an 8 mile radius of Buckland St Mary. 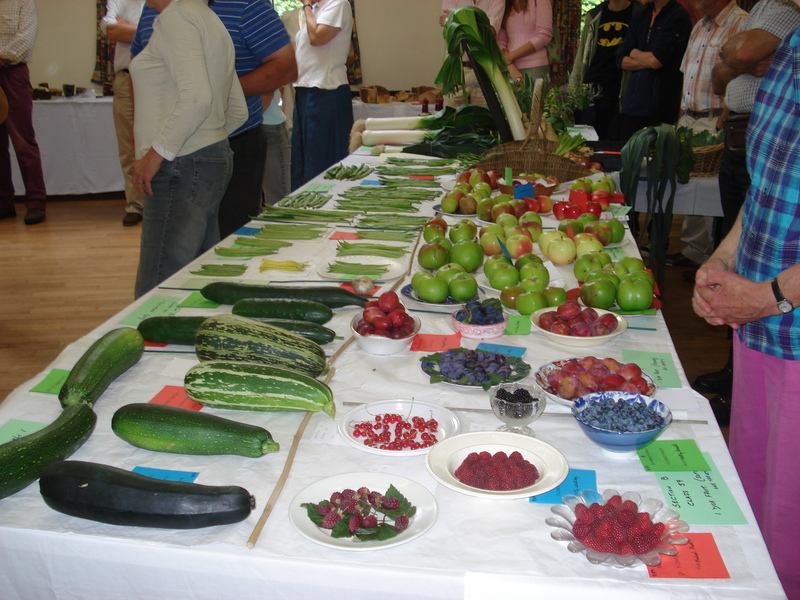 No exhibitor shall have more than one entry in each class, and all exhibits to be grown or made by the exhibitor. 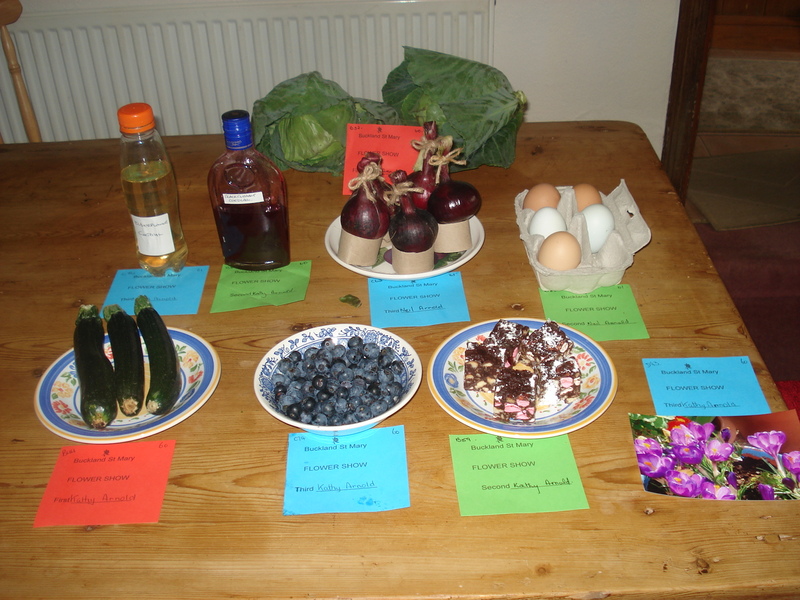 There were 115 classes in various categories: Category A = flowers and floral art, Category B = Vegetables, Category C = Homecraft such as eggs, honey, jam cakes etc. 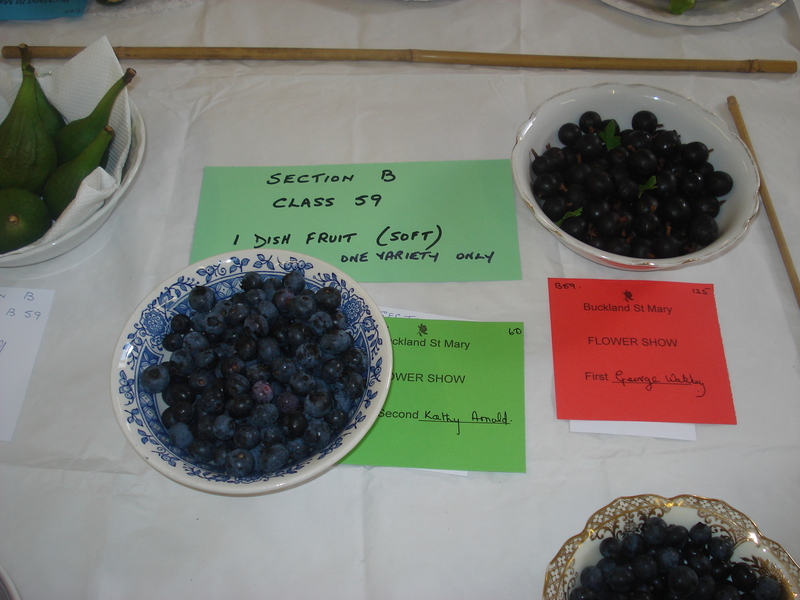 Category D = photography and E,F, G were childrens’ classes. 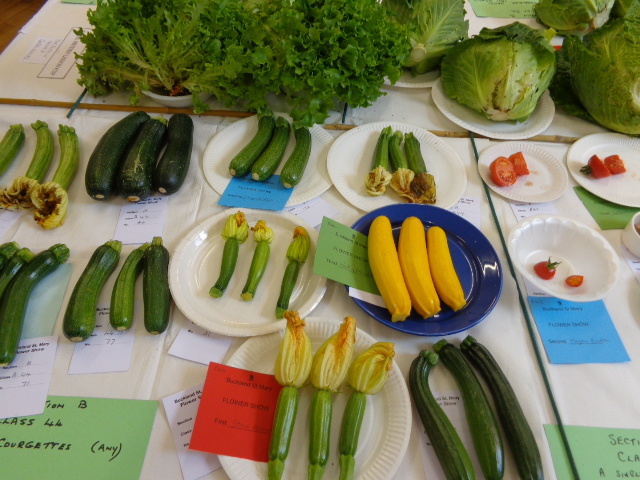 We entered in 21 classes out of the 115. 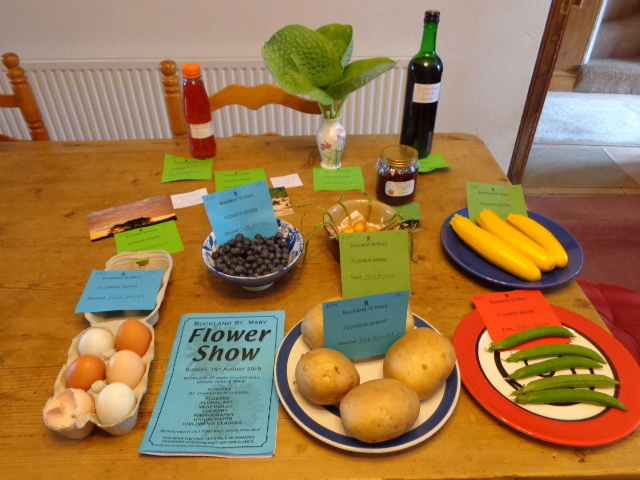 The Flower Show was very well attended with lots of exhibits. 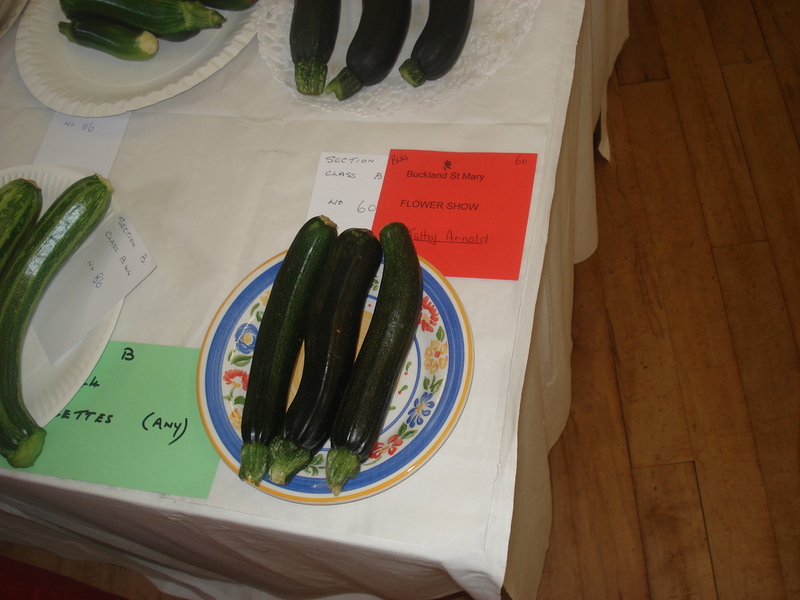 Well out of the 21 classes we entered we got a win in 10 of them. 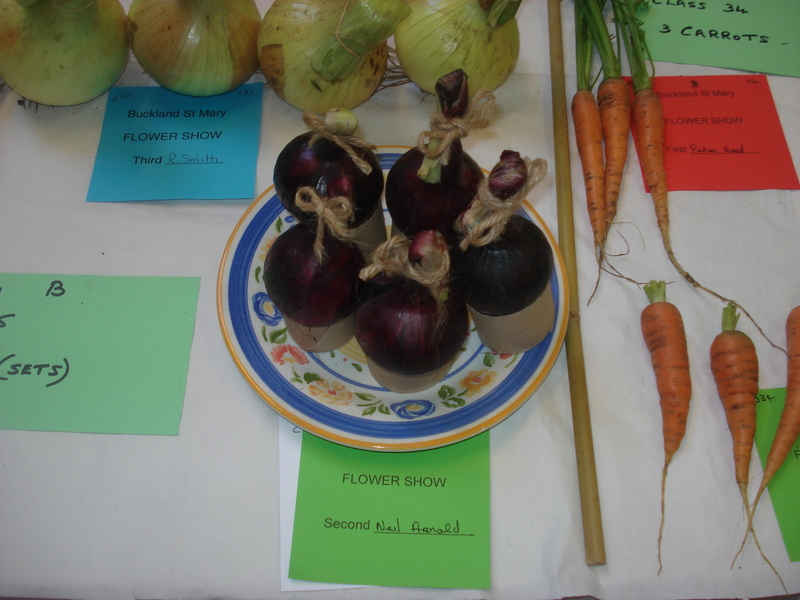 We were well chuffed with ourselves. 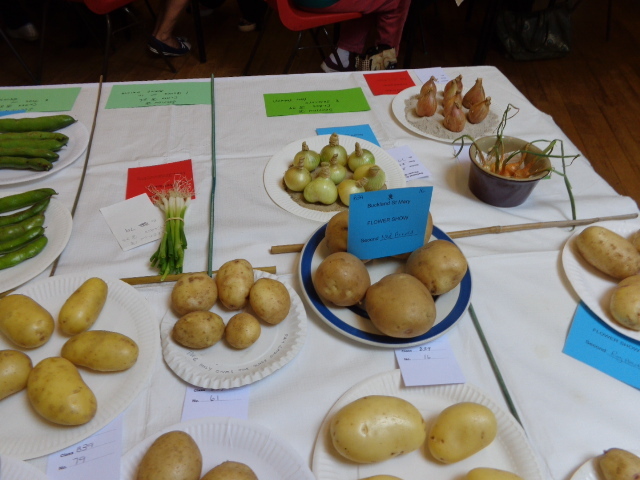 Neil got a first place for his potatoes and his elderflower cordial. 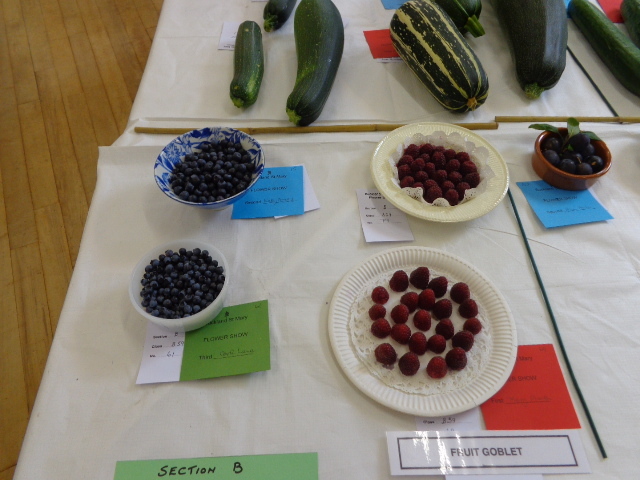 I got a 2nd place for my blueberries and my marrow under 12 inches long, 1 photo, my eggs plus my courgettes and cooking apples. 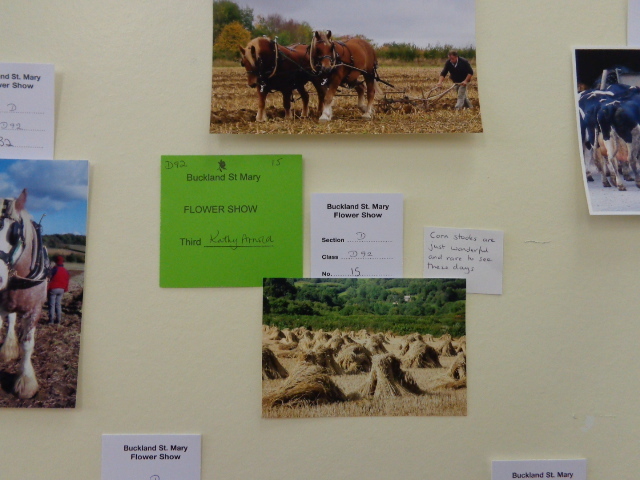 I got third place for 2 photos but there were lots of entries. 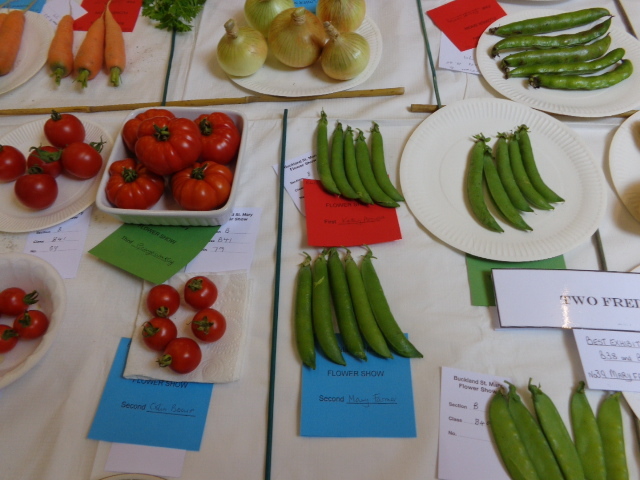 What a fantastic start for Neil and I in the flower show to get 10 wins. 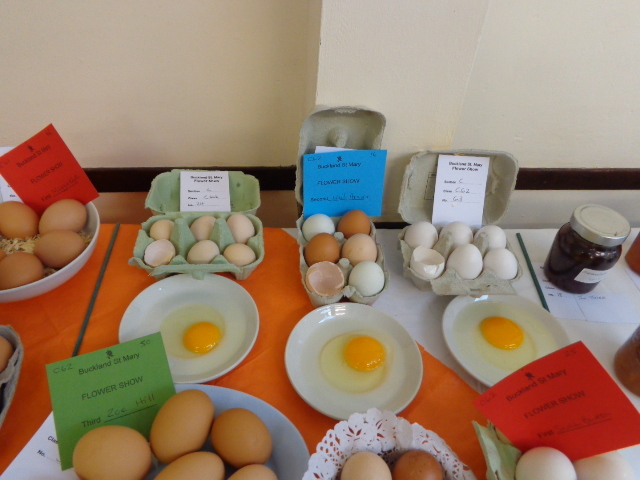 We are very happy today.